BRANDON DOWNING is a photographer, collagist, filmmaker and poet. A longtime member of the Flarf Collective, his books include Lake Antiquity: Poems 1996-2008 (Fence, 2009), The Shirt Weapon (Germ Monographs, 2002), and Dark Brandon (Faux Press, 2005). A feature-length collection of his short films, Dark Brandon: Eternal Classics, was released on DVD in 2007, with a further installment expected in 2010. Photographic work can be seen at www.brandondowning.org, while recent video projects can often be found at www.youtube.com/user/bdown68. He lives in New York City. 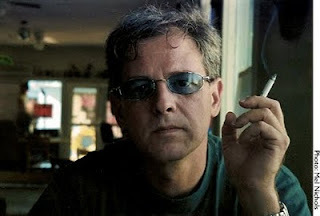 MACGREGOR CARD is a poet, translator and bibliographer living in Jackson Heights, NYC. His first collection, Duties of an English Foreign Secretary, is just out from Fence (December 2009). A new chapbook, The Archers, is forthcoming from Song Cave. With Andrew Maxwell he was co-editor of The Germ: A Journal of Poetic Research, from 1997-2005. He teaches poetry at Pratt Institute and is an associate editor of the MLA International Bibliography. 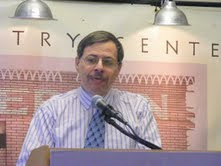 JOEL LEWIS is the author of Learning From New Jersey (2007), Tasks Of The Youth Leagues (2006) , Vertical’s Currency (1999) and House Rent Boogie (1992). He edited Bluestones and Salt Hay, an anthology of contemporary NJ poets, as well as editing the Reality Prime, the selected poems of Walter Lowenfels and On The Level Everyday: the selected talks of Ted Berrigan. He has also written hundreds of articles, reviews, essays and profiles and currently is a staff writer at the New Jersey Performing Arts Center in Newark. A social worker by day, he has taught creative writing at the Poetry Project, The Writer’s Voice and Rutgers University. And, for better or worse, he initiated the ill-fated New Jersey Poet Laureate position that was such a headache for Amiri Baraka. With his wife, film theorist Sandy Flitterman-Lewis, he resides in Hoboken. 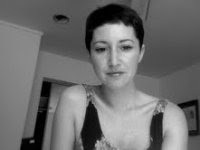 SOPHIE SILLS recently relocated from San Francisco to Los Angeles after earning her MFA in Creative Writing at Mills College. Here, she writes poetry and literary criticism. She works for a Jewish Non-profit and teaches English at National University. She lives with her cat and she is happy. We regret to inform the audience that Rod/Mel's flight to Southern California was canceled, and as a result, all of their Los Angeles and San Diego readings with it. ROD SMITH is author ofDeed (University of Iowa Press), Music or Honesty (Roof ), The Good House (Spectacular Books), Protective Immediacy (Roof), In Memory of My Theories (O Books), and a CD of his readings, Fear the Sky(Narrow House Recordings). He is editor/publisher of Edge Books and is also editing, with Peter Baker and Kaplan Harris, The Selected Letters of Robert Creeley (University of California). Smith is a Visiting Professor in Poetry at the Iowa Writers' Workshop for the Spring 2010 semester.